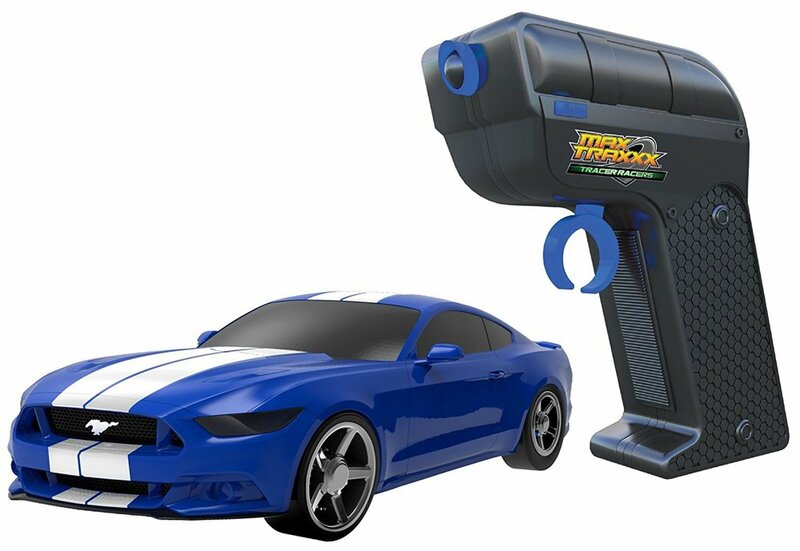 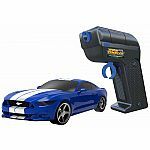 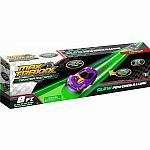 Max Traxxx takes your racing to the next level with Tracer Racers High Speed Remote Control Racing! 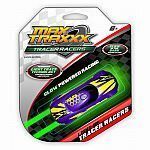 Tracer Racers utilize Light Tracing Technology to blaze streaks of light across the patented Max Traxxx Glow-in-the-Dark track. 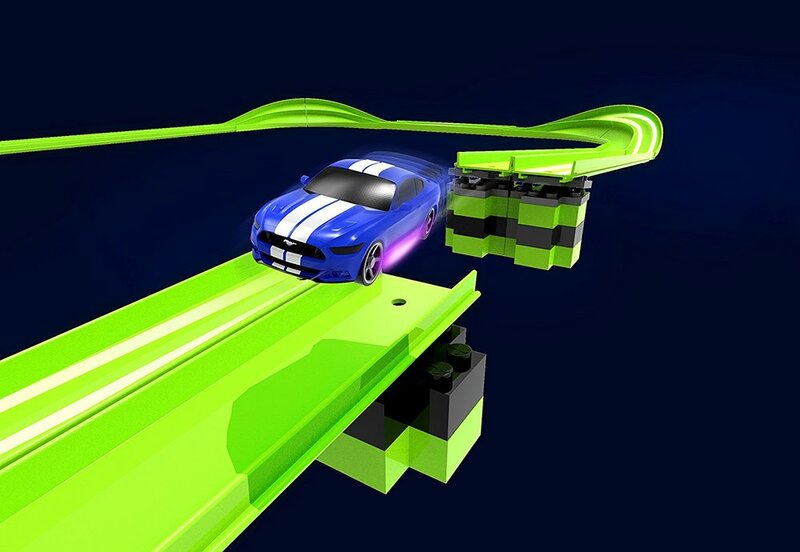 You have never experienced racing like this before! 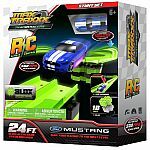 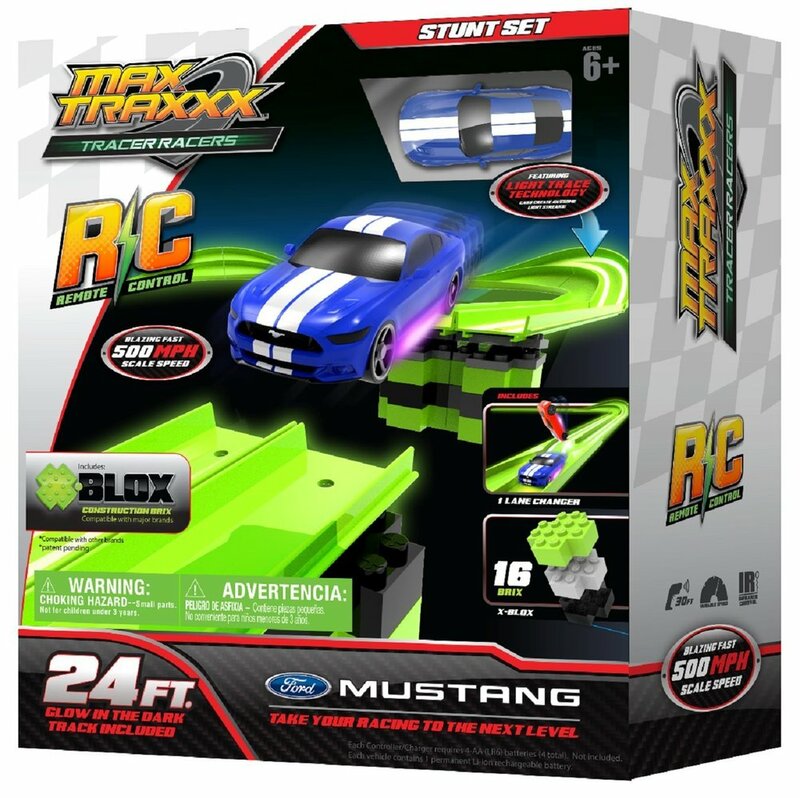 The Stunt set contains enough pieces to challenge the skills of all racers : a Mustang racer, 4 dual corners, a lane changer, X-BLOX construction brix, and a skill jump – everything required for high-speed stunts in the light or dark! 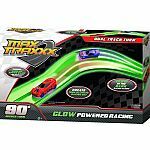 The Tracer Racer racing cars feature undercarriage lights that not only make these cars look almost like they are hovering rather than rolling - the lights also leave glowing streaks in their wake showing how the racers are "burning" up the track!! And remote controlled Tracer Racer Cars can be driven at variable speeds with a top to-scale speed of 500 miles per hour!! 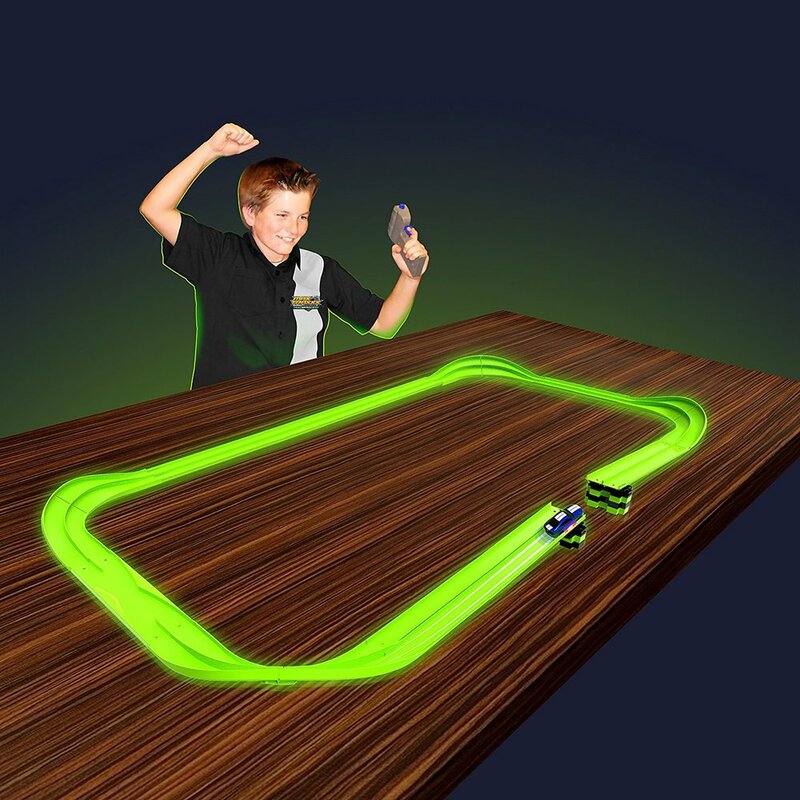 Remote controlled racers recharge by being plugged into the control - only one set of 4 AA batteries for each charger are required (batteries not included). 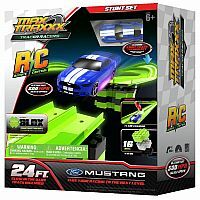 This new set is perfect for both beginning and advanced race fans as variable speed remote control cars, a skill jump, and adjustable track heights allow racers to control course difficulty. This exciting racing set and a dimly lit room is all that is needed to set the darkness ablaze. 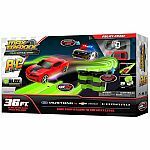 Measures approximately: 13.00 x 12.00 x 5.00 inches..